Efficiency is in human nature as we strive to complete our tasks as fast as possible. That’s why, if there is a solution that could save us time to do something more meaningful, we would take it. However, when optimizing their processes, many companies focus only on 3 project dimensions – scope, time and budget. Productivity and efficiency are often left aside, which can cause problems for businesses. When it comes to project management, there are a lot of discussions on how processes should be optimized in the best way. 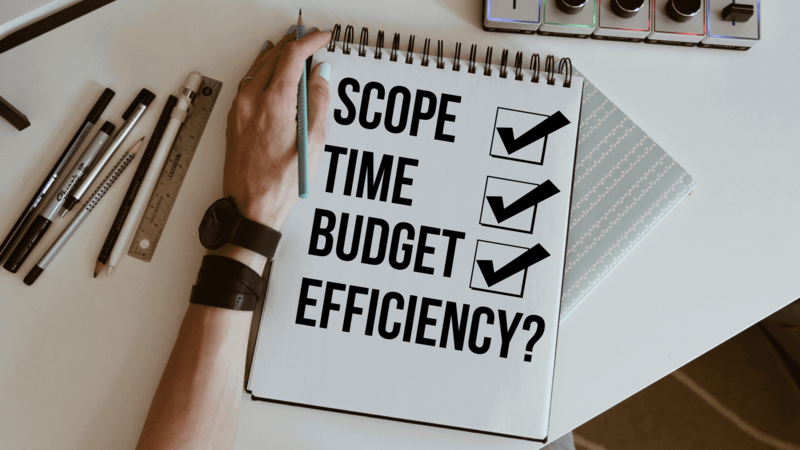 As we have already mentioned, most organizations focus on scope, time and budget. This is known as the three-dimensional approach to project management which can be ineffective. Imagine that you have a large project to work on. The first thing that you do is to determine the scope of your project. After that, you set specific deadlines and milestones that need to be followed. At last, you delegate a budget and start assigning tasks. All of this is great, however, you are not taking into account your team’s efficiency across all these steps. Even if your planning process is perfect, having low productivity and efficiency levels across your team members, might lead your project to a catastrophic outcome. A solution to this problem is embedding team efficiency as a fourth project dimension. Keep reading below to find out how to convert the traditional three-dimensional approach to four-dimensional project management. In the three-dimensional approach, the scope represents a very big task that needs to be broken down into smaller pieces. The idea is to make the individual tasks as small as possible so you can complete them easily one by one. Once this is done, you will know exactly how much time and resources you will need to finish the work. The fourth project dimension would strive to present your work as a flow. Breaking down a big initiative into smaller pieces is not enough if your team efficiency is low due to an unstable workflow. That’s why you need to optimize your team’s flow efficiency. This can be done by separating the value-added from the lead time. The former represents the time during which someone is working towards the completion of a goal, while the latter is the period between order and delivery of the product. Once you combine this with visualizing your workflow through a Kanban board, for example, you will be able to separate the value-adding from the wasteful activities. This will allow you to optimize your work process and deliver better products to the end customer. Time is of crucial importance for every single project. It is the foundation of good productivity and efficiency. That’s why, it is often being converted into deadlines, milestones and monthly targets that have to be reached. This can cause problems in project management, because, in reality, deadlines are often being missed and milestones unachieved. As a result, delayed deliveries occur, which can be catastrophic to any project. 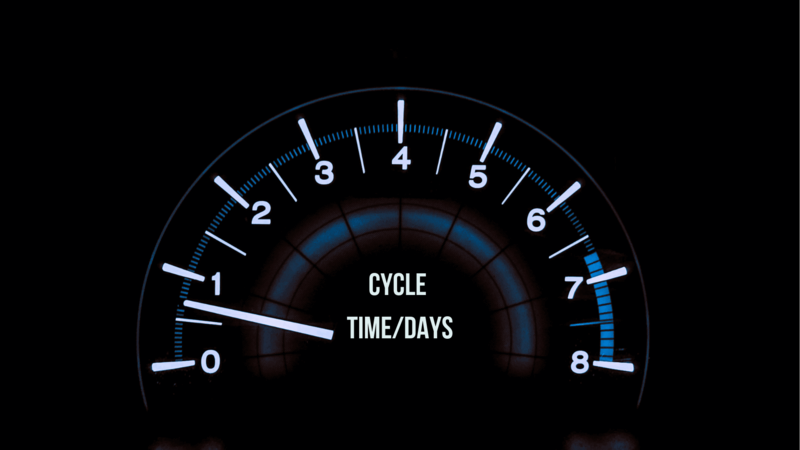 In the four-dimensional project management model, time is converted into speed. This is done because speed measures performance and eventually team efficiency. The idea here is not to set deadlines but to track how fast your team can produce a specific product. In Lean management this is known as cycle time. At the end of the day, both ways will produce results, however, the four-dimensional approach will place a bigger focus on the productivity and efficiency of your team. This way, you will be able to better forecast what time is needed for the delivery of a product and create superior value to your customers. The traditional approach to project management focuses on constantly pushing work into your colleague’s hands. This is done so nobody of your team remains idle and is always in a top delivery mode. The problem with this approach is that you are not creating a culture of shared leadership. Because of it, your team members might become seriously disengaged in the workplace just because you are using them as mere tools to get your job done. With the four-dimensional approach, tasks are no longer being pushed. Instead, they are being pulled and distributed by the team members. As a result of this, your colleagues will be in charge of their own processes which will boost their productivity and efficiency. They will no longer execute work only when somebody is supervising them. Instead, they will be responsible for the tasks that they are working on. This also has the power to boost their engagement in the workplace. Team efficiency determines whether products will successfully be delivered to the end customer. That’s why focusing only on the three project dimensions – scope, time and budget might turn out to be ineffective. Make sure that you integrate the four-dimensional approach to project management and so you can witness increased levels of productivity and efficiency within your entire organization. This entry was posted in Kanban, Lean Management, Misc on February 13, 2019 by Bisser Ivanov. Keen on innovation, exploration or simply trying new things. Would that be a technology, new methodology or just cool gadgets. Got almost 2 decades of experience working as Software Engineer, Team Lead, QA/Processes Manager and Managing Director in mid-size and large scale Software Companies: Prosyst, SAP, Software AG.